The Fibre Muse Podcast is coming back with a new twist. This time it will just be me as the host, though I will be inviting guests to come onto the show. What will the new Fibre Muse Podcast be about? At Aroha Knits, it is my mission to inspire and empower fibre artists to transform their yarn so they can manifest more joy, healing, connection and creativity into their lives, one stitch at a time. My work as a knitwear designer focuses on exploring the intersection of the four aspects of making: self-care, self-discovery, self-expression and selflessness with my journey of making sense of my multicultural identity. 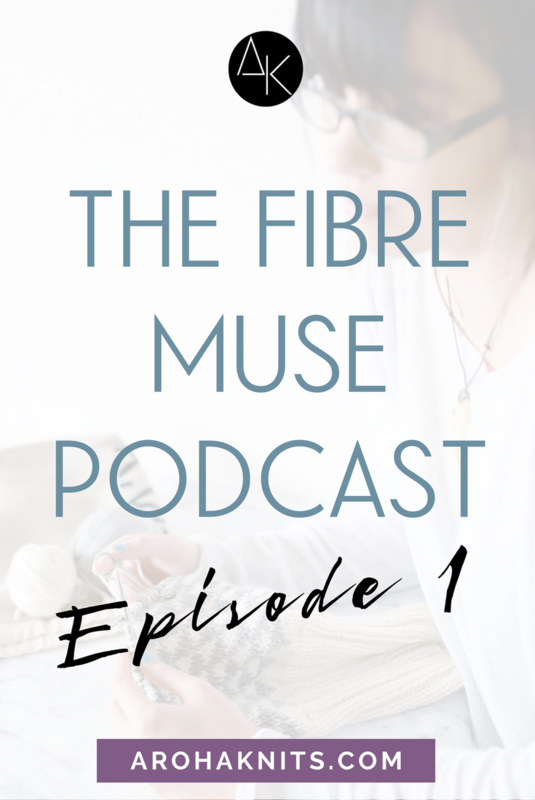 And on this podcast, I’ll be documenting this journey of self-actualization; of manifesting the Fibre Muse in my own making experience, through my own personal stories and round-table discussions with guests who use craft to explore their own identity. So in the pilot episode of the newly revamped Fibre Muse Podcast, I share the true story of why I became a knitwear designer: for connection, healing, joy and creativity through the lens of my cultural heritage. It's a bit funny - over the past two years or so, I've felt like I've drifted away from this simple true calling as I was experimenting and testing things out with my work (I am a creative, after all), and now I cannot ignore this pull from within me to return back to my true calling. Episode 1.2: Why Now? Why this Podcast?